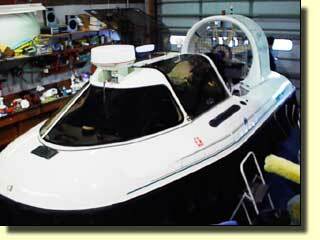 Seair Technologies, Inc. is proud to introduce its line of commercial hovercraft. 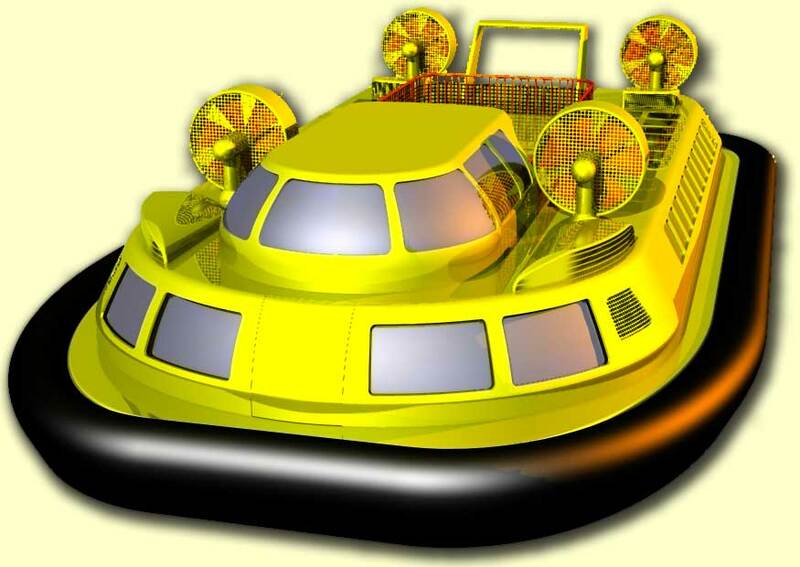 These hovercraft are the first hovercraft designed in the United States to support commercial hovercraft applications. This page contains some of the images we have of our hovercraft. Some are illustrations, others are images from our engineering software. 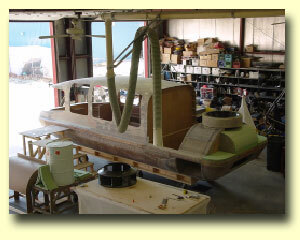 We will post pictures of more hovercraft as we finish them, so check back often. This image is an artist rendering of the hovercraft prototype. 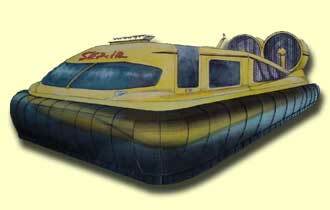 This is what the midsized Seair was originally designed to look like. The skirt is not really see-through, but was drawn that was for illustration purposes. 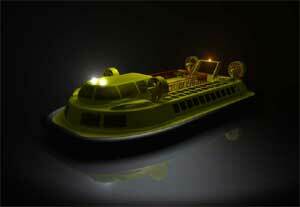 This is a 3-D model of our demo craft, early in the production cycle. It shows the hull configuration, skirt, and propulsion fans. You can also see the scoop for the lift fan which draws the air in from the roof of the cabin (in front of the thrust ducts). Here is a 'generic' cityscape (I'm not even sure what city!) with an image of our hovercraft as it would appear in the water. This was done for illustration purposes for one of our customers. This is the newest in the line of Seair Hovercraft, the SH-17. This hovercraft can carry a pilot and up to three passengers, and is designed for taxi service, or for search-and-rescue. This hovercraft can ben extended to carry an additional three people if necessary (the SH-21) or an additional 6 people (SH-25). 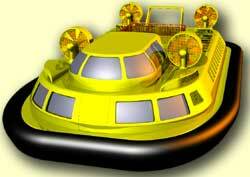 This is a 3D Model of the SH-96 Seair Commercial Hovercraft. 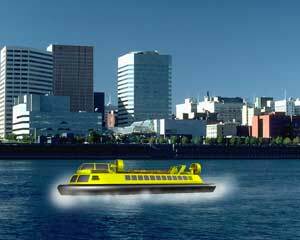 This hovercraft is designed to carry 149 passengers, and will be the largest hovercraft built in the United States. The Military Hovercraft (LCAC) is 16' shorter than the SH-96. The first SH-96 should be ready for delivery around the end of the year 2003 or early 2004. 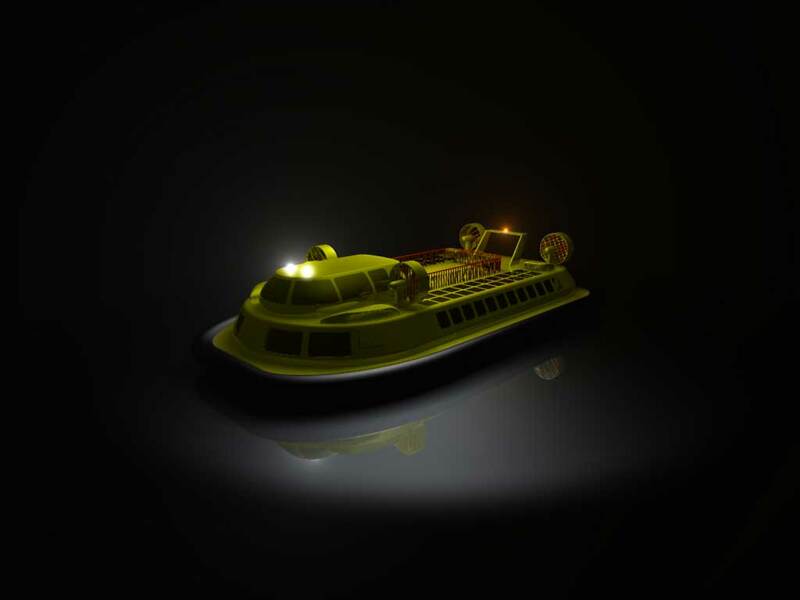 This is a very cool image, rendered by our 3D software, showing the SH-96 at night with its spotlights lighting the scene. Here it is, the first prototype mid-size hovercraft from Seair! It's still in development but is planned be complete by summer 2003. Copyright 2002, Seair Technologies, Inc.